Rosgeologia is a small Russian state company which once held the record for drilling the deepest hole in the Earth’s crust. Its biggest discoveries of oil, gas and hard-rock minerals lie in its Soviet past. Even with current contracts from the state oil and gas companies Rosneft and Gazprom, it holds only a small share of the Russian market for seismic and geophysical services; its margin for profit, according to the state auditor, is just above break-even. Last month, Rosgeologia (“Russian Geology”, Rosgeo for short) announced what should be a new record for Russian state investment in South Africa, drilling six super-deep wells into the seabed off the South African coast at a cost of almost $400 million, earning the right to sell billions of dollars’ worth of gas. Hours later when they met, President Vladimir Putin and President Jacob Zuma ignored the deal entirely. Russian experts in Moscow say they haven’t heard of it. The three top officials of Rosgeologia refuse to explain what they have contracted to do. When one of them, Roman Panov, Rosgeo’s chief executive, advertised his company’s future prospects in a lengthy interview with a Moscow newspaper, the South African offshore oil and gas project wasn’t mentioned at all. The reason, Moscow sources say, is that they are sceptical Rosgeo has the resources to implement the deal, or that the Russian state banks will accept the risk of South African default. The reason for that, Russian sources add, is that they believe the Zuma administration is too weak politically, too unstable, and with too little time left in Zuma’s mandate to implement the project. A Russian source is worried that President Zuma aims to take as much cash from Rosgeo as he can, and run. South African allegations of involvement in the Rosgeo deal of a Zuma family member, as well as political allies of the president who were at Rosgeo in Moscow recently, threaten to expose the terms of the still secret contract with PetroSA, South Africa’s state oil company, to a High Court challenge for violations of the South African Constitution. That and associated statutes on the management of public money require the Rosgeo-PetroSA deal to be “in accordance with a system which is fair, equitable, transparent, competitive and cost-effective.” Skepticism about this has already been hinted in a ruling by a South African judge in the High Court in Cape Town on September 22. The blanket refusal of Rosgeo, the Russian state banks, and PetroSA to answer questions about what they have agreed is a sign of their fear the deal will not survive the transparency test. 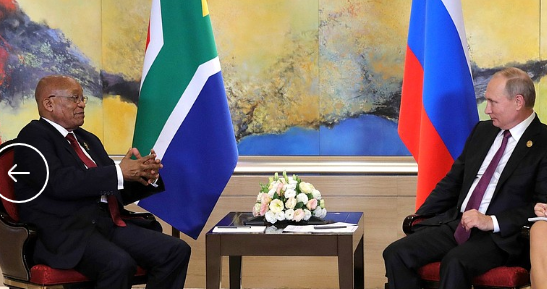 The announcement that Rosgeo and PetroSA have agreed on a programme of investment, paid for by the Russian government, was made on September 4, when Putin and Zuma were attending the BRICS summit meeting in Xiamen, China. For a background survey of the offshore blocks, read this. Last month Statoil (Norway) issued this summary of its SA exploration operations at present. 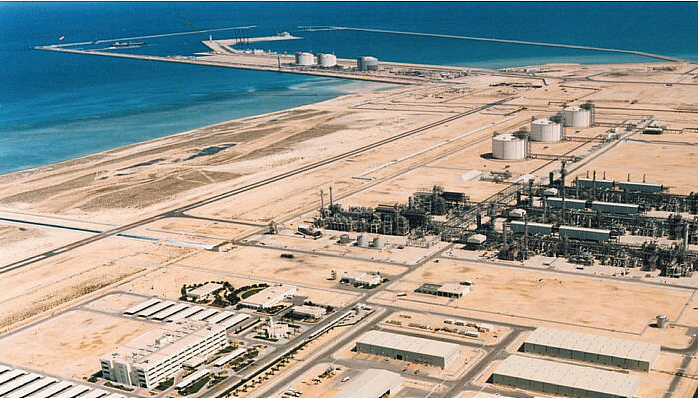 The PetroSA gas-to-liquids (GRL) refinery near Mossel Bay. For details, click. The PetroSA release quotes the acting chairman of the PetroSA board, Nhlanhla Gumede, as saying: “A find in block 9 and 11A would result in much desired exploration activity of our onshore and offshore oil and gas potential. The country and PetroSA will benefit greatly from the find.” This was misleading – the oil and gas in the two blocks have already been found. In practice, PetroSA is too close to insolvency to exploit this treasure. With mounting financial losses, its management has been replaced by Zuma’s administration; its board of directors sacked; and effective control of the company taken over by the Central Energy Fund (CEF), a state entity much closer personally to Zuma and to his political and business advisors. For more details, click to read. In this situation, PetroSA is too much of a risk for SA or international banks to extend new loans. PetroSA board chairman Gumede was appointed to sit in his chair in July, just weeks before the contract signing in China. He answers to the CEF director, Luvo Makasi, a 32 year old named to his post last December. The acting chief executive of PetroSA, Kholly Zono, was not allowed by Makasi to go to China to sign the Rosgeo deal. Nor did he accompany Makasi and State Security Minister and intelligence chief David Mahlobo, when they went to Moscow at the end of August. Makasi and two other men politically connected to Zuma met with Rosgeo at the time, the SA press reports. Rosgeo won’t confirm or deny the meetings. 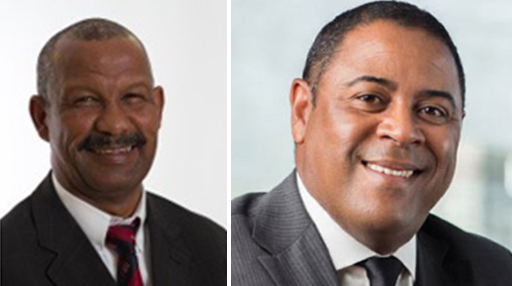 Left: Luvo Makasi, chairman of the Central Energy Fund, state shareholder of PetroSA. Centre: Nhlanhla Gumede, acting chairman of the PetroSA board since July. Makasi was at the signing ceremony in China, and Gunede signed with Panov for PetroSA. 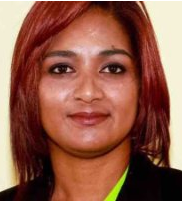 Right: Kholly Zono, the acting chief executive of PetroSA, was excluded from the SA delegation in China and ignored in the final agreement talks. A PetroSA spokesman gives no official explanation. Left to right: Roman Panov, chief executive of Rosgeo; Ruslan Gorring, deputy CEO; Sergei Suchkov, deputy managing director. For their company biographies, read this. The three top Rosgeo executives – Panov, Ruslan Gorring and Sergei Suchkov – have unusual backgrounds for running a geological research business. All three, aged 40, were trained in military institutions, with lengthy military service and foreign postings. Gorring and Suchkov have been at Rosgeo for less than three years. Panov had experience in southern Africa between 2011 and 2013, when he worked for Norilsk Nickel’s investments in nickel mining in Botswana and South Africa. These have proved to be ill-fated; for details, read this. In addition to Norilsk Nickel’s brief involvement in South African nickel, other large Russian commercial mining ventures in South Africa have been the profitable Renova manganese mining project of Victor Vekselberg; and Roman Abramovich’s acquisition of Highveld Steel for Evraz. The Abramovich venture ended in losses, recriminations, and corruption. An attempt by Rosatom, the state nuclear power group, to build a $50 billion series of reactors for South Africa, has failed after several years of lobbying and public controversy. It ended when the Western Cape High Court nullified the Zuma-Putin agreement on the project in April of this year. Panov had started his talks with PetroSA in January of 2016; the following April Rosgeo submitted a formal proposal for exploring Blocks 9 and 11A. There was no endorsement from the Kremlin then or since. When they met in October 15, 2016, at the BRICS summit in India, neither Putin nor Zuma made any mention of oil and gas. According to the Kremlin communique, “the two heads of state discussed trade and economic ties, cooperation in nuclear energy, and investor protection. During the meeting, the parties highlighted the potential of technological cooperation, in particular, in shipbuilding, IT and space technology, and telemedicine.” How a project worth $400 million could have been ignored is easy to explain, according to Moscow sources. The Russians didn’t think it would materialize. A month later, when the two governments held their annual get-together known as Intergovernmental Committee on Trade and Economic Cooperation (ITEC), there was also no mention at all of the offshore oil and gas project. “In our discussions, we continued to impress upon our partners the need for more progress on the platinum group metals, skills development, agricultural cooperation and science and technology.” The Russian co-chairman at ITEC, Mining Minister Sergei Donskoy, is also chairman of the board of Rosgeo. Joint Intergovernmental Committee on Trade and Economic Cooperation between South Africa and Russia, November 18, 2016. 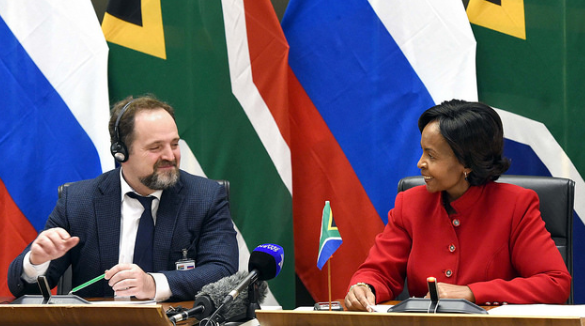 Minister of International Relations and Cooperation Maite Nkoana-Mashabane, and the Russian Minister of Natural Resources and Environment Sergei Donskoy sign a Memorandum of Understanding after the 14th ITEC meeting held in Pretoria, South Africa. (Photo: DIRCO). When Rosgeo finalized its bid to PetroSA in 2016, it proposed to drill a total of six bore holes, five in Block 9, one in Block 11A. Rosgeo estimated the cost of this drilling at $309 million, with additional works bringing the total capital expenditure on the project to between $350 million and $400 million. The drill depth required is at least 2,500 metres. The plan was for two to three months of drilling per well, three to four wells per annum, depending on storms and rough seas. 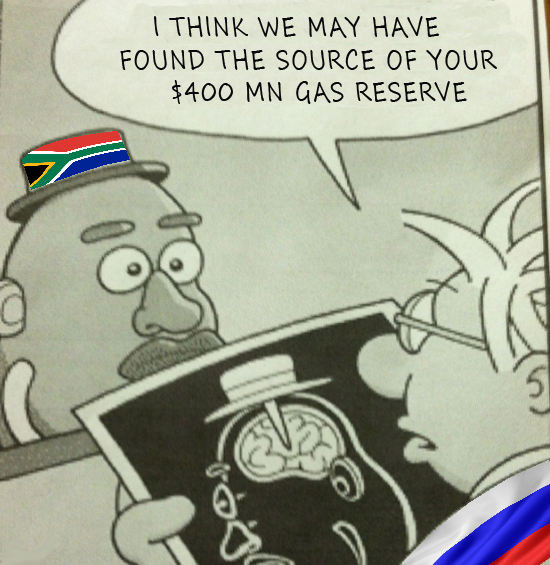 Oilfield experts say that to protect such an outlay, recover costs and earn a profit, it would be expected for Rosgeo to require PetroSA to grant the Russians first priority of repayment ahead of other creditors; and to accept terms of sale of the gas Rosgeo would pipe into PetroSA’s Mossel Bay refinery. PetroSA would be expected, the experts add, to fix a formula for pricing this gas so that it would not be paying over the prevailing market price. Rosgeo, on the other hand, would bargain for a sufficiently high price to allow it to recoup its costs as swiftly as possible. Volatile as natural gas prices have been over the past two years of the Rosgeo-PetroSA negotiations, the Gazprom price formula for gas deliveries to Europe suggests that the target production flow to Mossel Bay would be worth about $1 million per day, while the currently estimated reserves would have a market value of $80 billion. Rosgeo and PetroSA refuse to answer questions about the pricing terms they have agreed; or even whether there has been an agreement on pricing at all. This appears to be a special favour for the Russians unless there was a competing bid with comparable (worse) terms for the same project. PetroSA claims in local press reports there had been a rival bid, but no details have been no disclosed beyond this press report of a Nigerian company in the running. 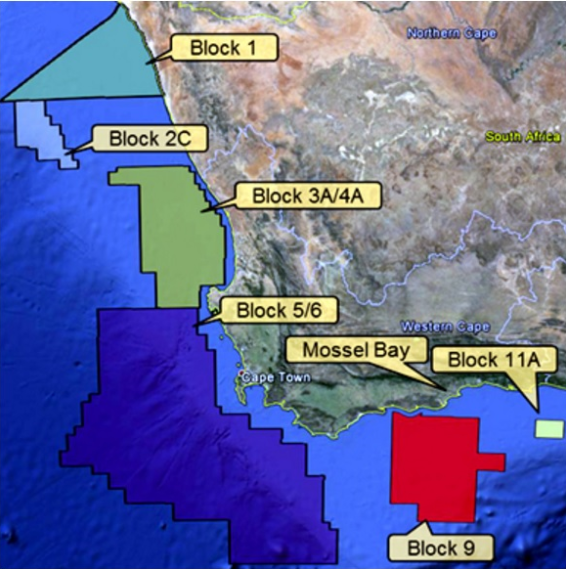 Unless there was competitive bidding for the Block 9 and Block 11A agreement, Rosgeo’s agreement is likely to face a High Court legal challenge. Because of its losses, PetroSA cannot afford to pay for the project. It proposed that Rosgeo would take 65% of the equity in the project, but pay all the capital costs to start up gas production and deliveries to shore. Rosgeo insisted on 70%, half of which, a stake of 35%, has been promised to an entity controlled by South Africans who qualify under the country’s black economic empowerment (BEE) laws. That partner is to receive its stake without making a capital contribution to the deal, and to earn a 35% royalty on the value of the gas Rosgeo expects to lift and sell. The more Rosgeo charges PetroSA for the gas, the more the BEE concessionaire would earn. SA press reports have named two men in the running for this partnership, who were in Moscow to meet Rosgeo in August. Their names were reported here. Rosgeo will not say what was discussed at their meetings. Local press reports also link this duo to Leanne Williams (right), a Johannesburg City councillor and one of the appointees to the PetroSA board in July. She lasted on the board only a few weeks before resigning in what has been reported to be a fight between contenders to succeed Zuma as head of the African National Congress (ANC) and the next president. An adoptive member of the Zuma family is also involved in the negotiations with Rosgeo to become the 35% partner and qualifier for the multi-million dollar royalties on gas sales, according to SA Energy Ministry sources. Her name has not been disclosed. In Moscow Panov was asked this week: “What personal relationship exists between a female member of the family of President Jacob Zuma and the senior executive leadership of Rosgeo? Does that female Zuma family member have a relationship with the BEE partner which Rosgeo has undertaken to accept in the project? Do you regard the relationship with the female Zuma family member as posing a conflict of interest or a violation of SA laws and regulations governing public contracting and procurement?” Panov’s spokesman, Arkady Meliksetyanz (right), refused to respond for Panov at their office telephone. They also refused to reply in writing. Russia’s oil and gas sector is the largest in the world, but Rosgeo is small fry. Dividing most of its contracts between Rosneft, Gazprom and other state enterprises (85%), it still holds only a 12% share of the Russian geophysical exploration business. It does not publish audited financial reports. Its financial capacity to undertake the cost of the PetroSA project is also in doubt. Russian press reports indicate that in 2016 its revenues may have been Rb30.5 billion ($470 million), but costs, earnings and bottom-line profit figures are not available. In March of this year, Panov was quoted as telling a Moscow newspaper that the company’s budget for drilling and related exploration activities this year is Rb4 billion ($68 million). If implemented, the South African project would be roughly double. Panov acknowledged that if it needs more cash, Rosgeo’s current leverage is small with a “stable loan portfolio” of about Rb950 million ($16 million). In 2015 Rosgeo announced it had signed a project financing relationship with the state bank VTB. The second state bank likely to fund Rosgeo in South Africa is Gazprombank. It operates a branch in Johannesburg, whose director is Ivan Suchkov. Telephone-calls and emails to the two Suchkovs this week have gone unanswered. They won’t say if they are kin, nor if they are involved together in selecting the black economic empowerment partner for the project. VTB has also refused to say if it has been asked by Rosgeo to assess the financing requirements for the project. The secrecy surrounding the Rosgeo-PetroSA deal was partially lifted a month ago when the High Court in Cape Town heard testimony and issued a judgement on a lawsuit by two former board directors at PetroSA, claiming their removal by Makasi of the Central Energy Fund earlier in the year had been illegal. The ex-directors also accused Makasi and other government officials of pressuring PetroSA to accept Rosgeo’s terms without the required public finance management compliance and competitive bidding. In affidavits to the court, William Steenkamp, an influential member of the ANC, and Owen Tobias, a former general counsel at PetroSA, alleged that outside pressure in favour of the Rosgeo deal had led to their ouster from the PetroSA board. Left to right: William Steenkamp, former board director of PetroSA; Owen Tobias, former general counsel and board director of PetroSA. PetroSA still lists the old 10-person board despite their dismissal since last July. The interim 7-person board appointed to replace the old one is also listed on the company website. Read the High Court judgement by Justice Lee Bozalek here. The same judge also ruled that Zuma and his officials had shown unlawful favouritism towards Rosatom in a High Court judgement earlier this year. For more on that case, read this. Steenkamp and Tobias did not respond to requests for comment.